SAN CLEMENTE, Calif.–(BUSINESS WIRE)—ReFlow Medical, Inc. (ReFlow) today announced FDA clearance for US commercialization of their speX™ Shapeable Support Catheter for use in the peripheral vasculature as well as the first US clinical cases with the device. 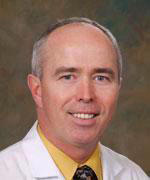 The initial US cases were performed by Dr. John R. Laird at the UC Davis Vascular Center in Davis, California. The speX™ Shapeable Support Catheter enables physicians to shape the tip of the support catheter to their preferred angle to meet the specific needs of the case and maintain that angle throughout the procedure. It is designed to be compatible with physician preferred .035 guidewires and the Wingman14 Crossing Catheters. ReFlow Medical, Inc. is a private company focused on empowering physicians through the design and development of innovative and cost-effective technologies for cardiovascular disease.